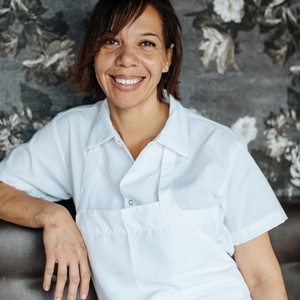 Chef Nina Compton is heating up the New Orleans food scene with her two hot spots: Compère Lapin and Bywater American Bistro. She competed in the New Orleans season of Top Chef, fell in love with NOLA, the country’s most colorful city, and decided to stay. Journalist Rochelle Oliver interviews Nina for today’s Radio Cherry Bombe and they talk about Nina’s native St. Lucia, Caribbean cuisine, and life in New Orleans. For the second half of the show, host Kerry Diamond and Rochelle talk about Nina’s place on the culinary scene, the launch of Rochelle’s new digital magazine, Island and Spice, and more. Thank you to Le Cordon Bleu and Vital Farms for supporting this episode of Radio Cherry Bombe! Radio Cherry Bombe is powered by Simplecast.